About 54 years ago, I had several written correspondences with Mike regarding Remington building me a .22-250 as this great varmint chambering was not commercially available. My heavy varmint gun at that time was a .22-250, Mauser 98 action, 15x Unertal Ultra Varmint Scope, laminated walnut and maple Fagen stock that I bedded and finished myself, and a 28″ Douglas barrel. I formed the brass from 250 Savage and I neck turned it as well. It hammered. My walk around gun was a Sako Vixen in .222, which also hammered after it was glass bedded. Hundreds of crows met their match over the years from this combo. Mike seemed very receptive of Remington looking at a .22-250 but I was told the lawyers shut down the idea. How ironic that I am also a lawyer. There has to be a joke in there somewhere. Mike was always very informative and I saved the letters for decades, reading them often, but they got lost in a move. I must fess up. Mike did not know that I was only 14 years of age when we were corresponding! Mike is the one that really kept the fire going in my search for precision accuracy. I can only say “thank you” my old friend — who I suspect has no recall at all of the young boy was corresponding with. 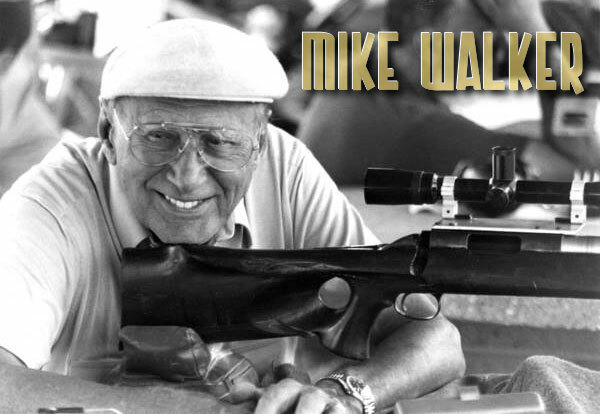 We all owe Mike and Remington for their contributions to the game we so love. It was me, working with Jim Stekl, that did all the work at the Lonoke, AR ammunition plant to put the 6mm BR and 7mm BR into production. As a research engineer I designed the tooling and shepherded them through the production line. Also, the load development was done. Several trips were made to the Illion, NY firearms plant to meet with Jim and discuss the project.